Last edited by Velorum; 24th December 2018 at 14:14. I'd stick with the C3-X1 zqr 23...whatever lume. Faux aged lume doesn't really do it for me. Tried it. Found it...meh. Not sure about the blued hands. I think they might "pop" too much. They seem perfect when thin and not lume filled, as in a deck watch or that beautiful Air Ministry 29. In Mercedes style, I'm a little worried they will overpower the dial. I get the visibility thing-my eyes are lousy, actually. But I've got a SARB35 with slimmer, polished hands, and have no problem reading it in any light yet. Please, do NOT use a closed minute track. They look awful. Always. Just my opinion. And again, please, no textured dial. Ugh. 20-16mm bracelet with old clasp sounds good. The new ratcheting clasp is nice, but I'd want it on a diver of at least SKX007 size, not on a slim dressier watch like this. And some are finding the 20-18 mm bracelet too heavy, so this 20-16 was a really good idea. Looks like I'm in, even if hands are blued (and my impression is, they will be). I was going to get the black 36, but that clasp is too much for me, and I really want to keep this on the bracelet, so I will be getting the white version. How about a merger of Eddies lumed plots and central second hand with this? Ah, now that is a winner. Nice. I had a precista pocket watch with hands shaped a bit like that. Don't know what they are called - 'pencil hands with a pointy bit on the end' maybe. I think they would look fantastic on the white face everest, blued, with lashings of superlume. Last edited by seikopath; 24th December 2018 at 21:46. If it morphed into a recreation of that watch from Lughuggers post i would not complain.....i would buy it! Eddie, please I'm interested in the Everest 36mm with black dial, but I really would prefer for it the new planned rivet bracelet 20mm tapering to 16mm,with simple "old style" clasp. Will this bracelet be available for sale separately (please say yes ... !) ? Any drawing or real picture available ? No maybe about it. Why the rush? The store is not open for another 3 weeks! You can get through life with bad manners but it’s a lot easier with good manners. As to the colour of the dial, I really like ivory / off-white but for some reason actively dislike pure 'arctic' white. So I hope the dial colour stays as planned. So, would the blued hands be painted blue or heated blue? 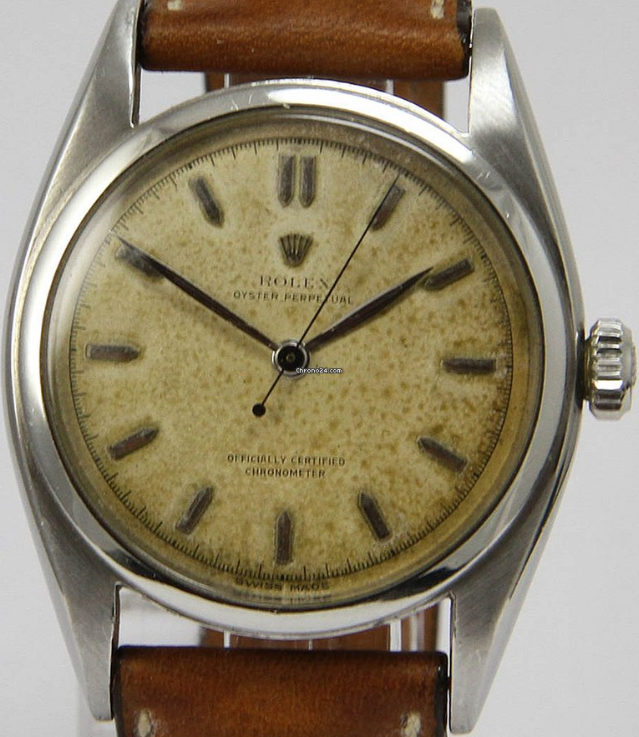 I think they are great for legibility against the cream dial, nice one. And I love superbright lume, it's an explorer! Please just make the indices well readable also in the daylight. This will be a great companion to the bb36, let me find some money now. no rush at all, and I can assure you I'm always on the good manner side. I've just asked a question as many are doing ... no problem here. Rolex had every right to have a model called Everest. After Mallory's death (wearing a Borgel) until Everest was conquered (again) Rolex were there most of the way. 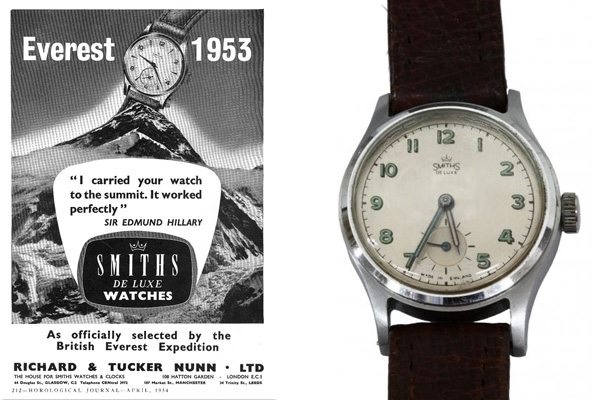 Eric Shipton wore one of the very first Rolex on every other expedition apart for the '53 one. Even the '53 expedition equipped the primary team with Rolex 6098 (with a light dial) but failed to give them to the secondary team. Pretty well everyone who went to Everest but didn't get to the top wore some sort of Rolex. Pretty well everyone who went to Everest but didn't get to the top wore some sort of Rolex. I can see it now: "If you were going to fail to swim The Channel, climb Everest or go to The Moon tomorrow, you'd wear..."
Rolex - for the nearly people. The Jack Swigert Moon Lander SE. If there's going to be a white dialled watch called Everest, surely this is the one? It's also a white dial 36mm Rolex and personally I think that the large 'obelisk' indices with the double indices at the top is really quite attractive. Last edited by M4tt; 28th December 2018 at 12:44. A textured dial and non-Mercedes style hands would be most welcome on my part. Blued hands are definitely a big plus if they are as well made as on the Air Ministry. Lume color can be sometimes be a bit problematic on white/light colored dials. If the lume is too greenish, I find that it often makes the whole watch look cheap. This is good news, no ghost date position. I'm liking this one more and more. Understand the hands sit a bit lower with the 9039, vs the 9015, so will that result in a slimmer watch Eddie or will you be using the same cases ? That's excellent news. Thanks for the update, Eddie. I think that a white dial taking inspirational cues from the original Smiths would be the one. Is there any indication of when these might be available? Aged lume and blued hands? hmmm probably not for me tbh but others might like it. Gold hands might work better than blued if it goes down this route. I think it would benefit from a more defined line around each marker and digit. At the moment they seem to blend in with the dial colour too much. The Logo, is it definate? As it just looks like the letters have been eaten in to from underneath, sort of looks odd. I think Eddie suggested earlier that he wanted to go with a particular SuperLuminova and that color was not available in "vintage" (old radium). So, it seems like the white, non-aged lume is probably fixed at this point. But, I do really like this design. Nice. Needs a little work as others have said re plot outline being slightly stronger and in non aged lume. No need for the ‘automatic’ either. Personally I would like to see something else than mercedes hands and the classic 3-6-9 dial configuration for the white dialed PRS-25. Rolex made other Explorer models than the 1016 and there are plenty of nice dial configs in Smiths own heritage that could be used imo. You could even name the white dialed PRS-25 the Smiths Arctic instead of Everest. Not sure about the blue outlined hands, but otherwise superb ! I really like the addition of the red "Automatic" under Everest ; the extra line of text provides a nice visual balance to the logo. Maybe reverse the colours and see what that looks like (Everest in red) ? We already have a prs53. Last edited by 459GMB; 30th December 2018 at 08:22. Last edited by 459GMB; 30th December 2018 at 08:29.